George Michael has been hospitalized following a single-car accident. The former Wham! singer and platinum solo artist was a passenger in a Range Rover traveling on the M1 highway yesterday in Hertfordshire, England. Reports say that Michael was airlifted to a local hospital with a head injury after the crash. “The man who we believe to be in his 40s sustained a head injury and following treatment, stabilization and immobilization by land and air ambulance crews, he was flown to hospital for further care,” Gary Sanderson, a spokesperson for the medical crew, told the BBC. Meanwhile, Michael’s representatives told the BBC that the singer had only sustained “superficial cuts” during the accident and was fine. Michael, 49, has been in questionable health. Last year, he canceled a handful of tour dates to work through the extreme anxiety that followed his extended hospitalization for pneumonia in 2011 (a visit that saw him slip briefly into a coma). 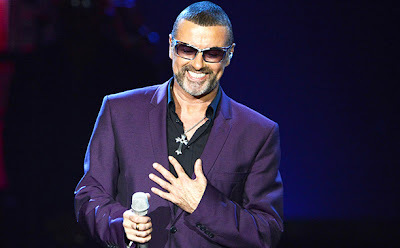 Though his last new album was in 2004, he has steadily been releasing one-off singles for various charities and events, including a cover of Stevie Wonder’s “You and I” recorded on the occasion of Prince William’s wedding to Kate Middleton and a new tune called “White Light” that commemorated the 30th anniversary of the first Wham! single.